What do you do when you are driving and you see flashing lights on the side of the road? Slow Down? Move Over? You should. It's the law. 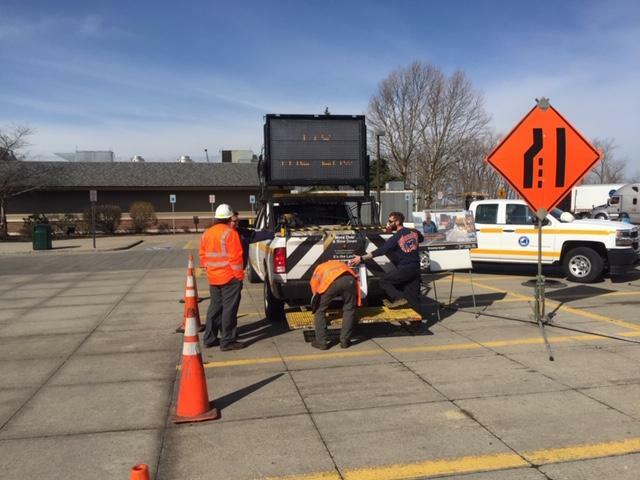 As part of Work Zone Awareness Week, State and federal agencies are reminding drivers to be observant of vehicles on roadway shoulders. Keith Stanczewski is a Thruway Maintenance Engineer. He said this law is for everyone’s safety. Stanczewski said as Western New York temperatures continue to rise, there will be even more road work. The Federal Highway Administration’s tips for driving through a work zone include checking for the latest traffic information beforehand and avoid distractions. Governor Andrew Cuomo is proposing a law that would require passengers in the back seat of a motor vehicle to wear a seatbelt no matter their age. It would be included in the upcoming state budget. WBFO’s Nick Lippa gathered the thoughts of some local transportation safety advocates. When should older drivers hang up their keys? A new study by the AAA Foundation for Traffic Safety shows nearly 83 percent of older drivers never speak to family or a physician about their safe driving ability.